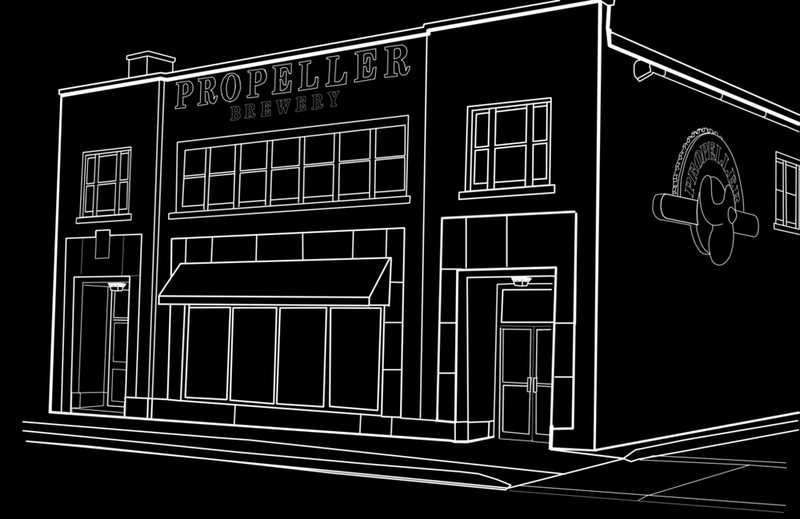 Year-Round — Propeller Brewing Co. Inspired by the classic California Common style, this approachable, craft-brewed lager has subtle herbal notes from Northern Brewer hops, along with roasted, caramel malt notes and a crisp, refreshing finish. A classic Bohemia-style lager blends Canadian and European malts for continental hop aroma, light malt sweetness and refreshing bitter finish. Calling all hopheads. Brewed with PacificNorthwest hops and heavy dry hops, this smooth, great tasting beer has a sweet malt backbone and a full hop finish. Channeling American style pale ale, this brew pays homage to a classic, while carving its own memorable niche. Emulating an English style bitter, this copper coloured brew boasts complex flavours while maintaining its smooth mouthfeel. Rich, creamy, smooth, slight notes of coffee and chocolate. Good body, with a refreshing mouthful. Full-throttle beer lovers take note. Loaded with hops, with a bracing bitter finish, this beer is brash and bold but remains utterly flavourful and refreshing. Bitterness, with a citrus nose of Pacific Northwest. Balanced by rich two-row barley, crystal malt adds caramel notes while rye provides a spicy, crisp finish. Be bold. Drink Rye.